Welcome to the official website of thriller author Ian Kruger where you will find mystery, intrigue, suspense, adventure, exhilarating action, valiant protagonists and fearsome villains blended into a frenzied roller coaster ride of non-stop enjoyment. 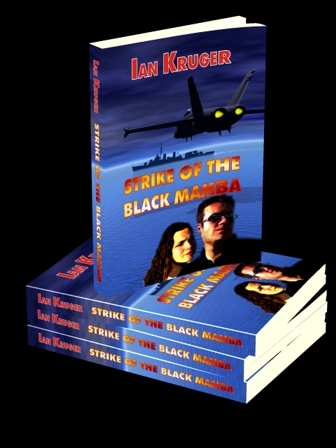 My new thriller novel, “Strike of the Black Mamba” is now available! The book is an international crime thriller dealing with the ingenious theft of nuclear material and weapons and the spine-chilling use thereof. Please take a look on my Thriller Novels page.